Born in Memphis, TN where he survived the Civil War years, Robert Bradley Hawley (1849-1921) moved to Galveston, TX in 1870 where he went into business as a merchant. In 1896 he became Galveston's first Republican congressman. After getting acquainted with the sugar business by having an ownership interest in the New Iberia Sugar Co. of Louisiana, Hawley's entrance in March 1899 into the North American expansion of the Cuban sugar industry marked its beginning in earnest. 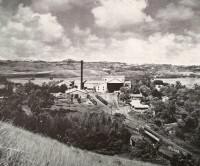 The Cuban-American Sugar Co. was incorporated in New Jersey on July 26, 1899 after which it quickly moved to acquire the remains of two devastated sugar plantations; Francisco Plá's San Manuel and Antonio Mahiquez Chaparra, both in the Matanzas province. They would entrust Cornell graduate Engineer Gen. Mario Garcia Menocal (1866-1941) to design and build the Chaparra Sugar Mill at Puerto Padre, at the time the largest mill in the world. 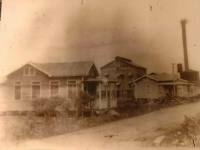 The Chaparra Sugar Co. was incorporated in New Jersey on October 18, 1899 with a capital of $1 million with R. B. Hawley as president, Frederick H. Howell as vicepresident and James H. Post as Treasurer. At the same time that United Fruit Co. was making its first investment in Cuba in 1901, the newly incorporated Colonial Sugars Co. purchased the well known Central Constancia from the Apesteguía family backed by capital from Louisiana and the Illinois Central Railroad. A few years later, the Colonial Sugars Co. would be merged into the Cuban-American Sugar Co.
On September 19, 1906 the Cuban-American Sugar Co. was reincorporated in New Jersey as a $20 million holding company. Not only did it own all the otstanding shares of Chaparra but also those of five other mills totaling some 280,000 acres and producing about 546,000 bags of raw sugar annually.